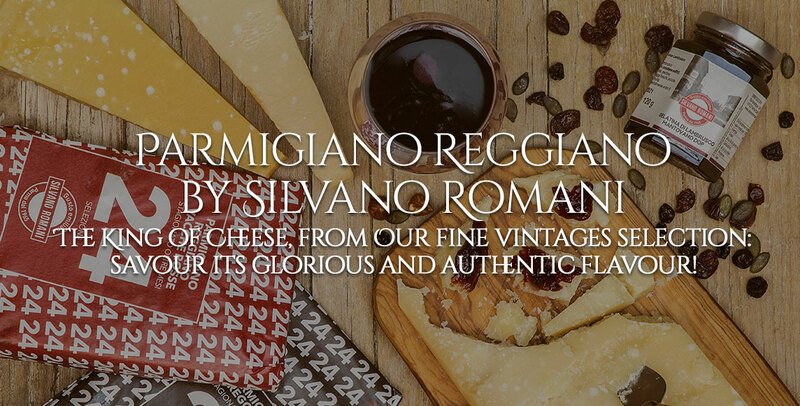 A quality condiment, aged for at least twelve years in barrels rich in history and aromas. 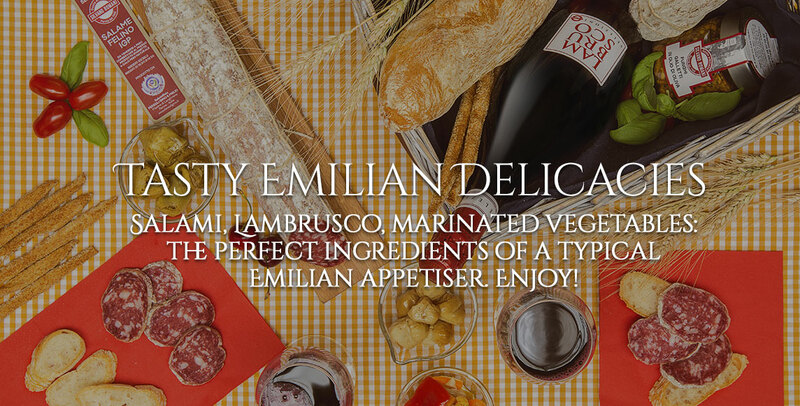 Traditional Reggio Emilia Balsamic Vinegar is guaranteed by the Protected Denomination of Origin mark. Try the persistent flavour of the Bollino Oro (gold label) variety. 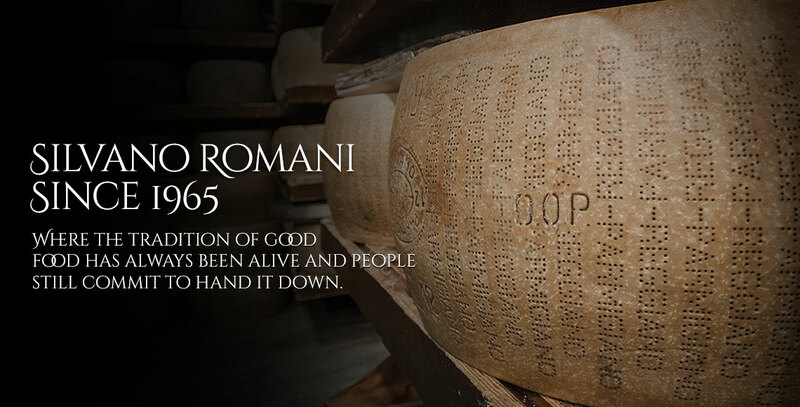 The Bollino Oro variety is aged for no less than twenty-five years. It is persistent and lingering on the palate. 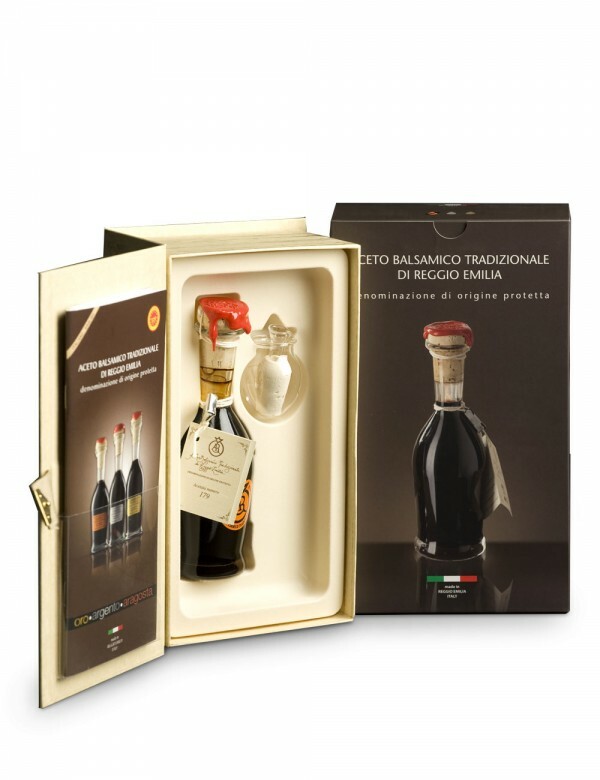 Bollino Oro (gold label) is a Balsamic Vinegar for connoisseurs, to be savoured with spicy and seasoned cheeses, custard cream and chocolate desserts, ice creams, forest fruits and for panettone and strudel fillings. Savour it alone to appreciate its unique and pronounced qualities, capture its intense flavour in a small, meditative glass.